Hotel Moomal is named so in the memory of the eternal love shared by Prince Mahendra and princess Moomal. The traditional love story is visible in the contemporary architecture and hospitality of this three star hotel. 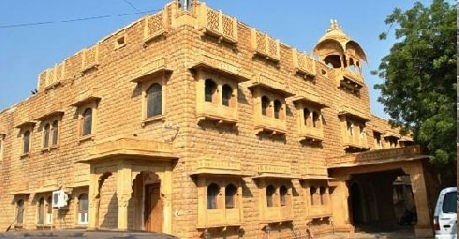 Located along the Sam Road, the hotel is just 5 kms from the Airport and 4 kms from the Jaisalmer Railway Station. The hotel also arranges sight-seeing and tour packages for its guests through its own travel desk. The conference hall is well organized to host private as well as corporate parties. 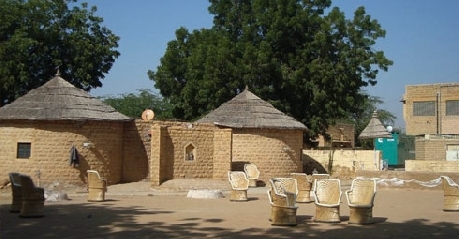 Other facilities of this hotel are doctor on call, laundry services, camel safari, car rental and parking facility. 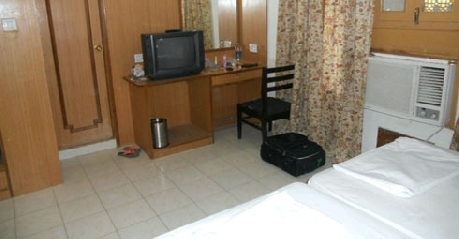 The standard rooms are suitable for the guest looking for budget rooms. The compactly designed room comes with a tea or coffee maker, so the guest can enjoy their favorite beverage on their own time. The en suite bathroom is very well maintained and comes with all the required bathroom toiletries. The other facilities of this room include a color Television and an electronic safe. The Non AC room comes with a double bed with spring mattress. The room has a ceiling fan and is an apt buy for the winter season. The 21 inch color TV comes with a variety of local and national channels for ones entertainment. The en suite bathroom has a shower cubical. The other amenities of the room include an iron, hair dryer, electronic safe, tea or coffee maker and a direct dialing telephone. 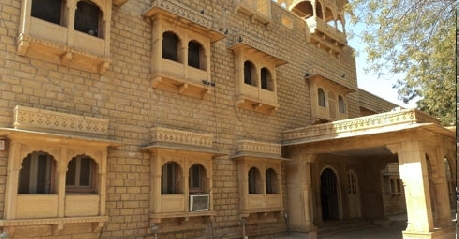 The family rooms are a lot more spacious and have large bay windows offering a unique view of the city of Jaisalmer. The bed is decorated with colorful linens and comfortable cushions to put the guests off to a good night sleep. The LCD TV connectivity makes sure the guests are always entertained and connected with the world. The room is adorned with some beautiful paintings too. Some of the other amenities include a private bathroom, mini bar, safe, iron and ironing board and a tea or coffee maker. The AC rooms are elegantly designed and offer its residents a beautiful view of the city of Jaisalmer. The hotel also offers connecting rooms for families. The walls are done in bright colors and come with beautifully crafted wooden furniture. 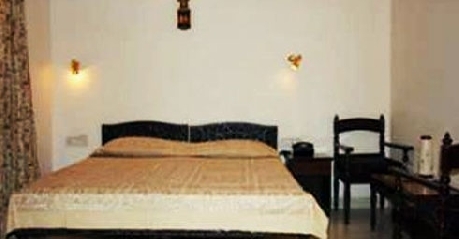 The room is equipped with all modern amenities like air conditioning, a mini bar, tea/coffee maker, electronic safe, iron and ironing board and a color television. 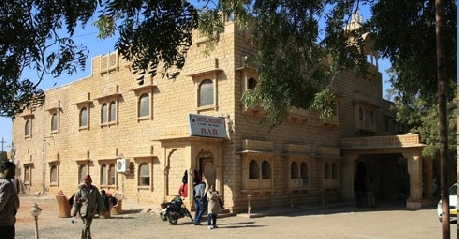 Hotel Moomal, Jaisalmer is an economy hotel. It is operated by Rajasthan Tourism Development Corporation (RTDC). Rajasthan has numerous RTDC hotels offering accommodation in low budget, economy and deluxe ranges which are strategically located. 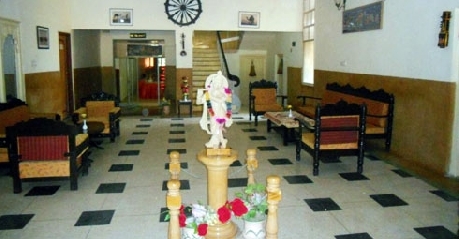 Hotel Moomal is just 1.5 kms away from the railway station. The Hotel arranges for trips for Camel rides and Jeep safari. Dinners on the sand dunes are attractive facilities provided by the Hotel. The restaurant of the Hotel Moomal is very contemporarily designed and offers its diners an array of dishes from the Rajasthani, Indian and continental delicacies. The place offers a spectacular view of the city and is famous for its authentic dishes and ambience.